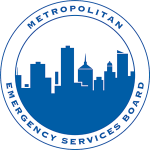 The MESB’s Radio Technical Operations Committee (TOC) meets to review technical and operational aspects of the metropolitan area ARMER system, such as requests to join the ARMER system, subsystem build-out plans, additions and/or changes to existing subsystems, and operational standards. The Radio TOC presents recommendations on these items to the Board for final approval. The Radio TOC meets monthly on the fourth Wednesday* of the month at 1:00 p.m. All meetings, unless otherwise noted, are held in the Board Room of the Metropolitan Counties Government Center, 2099 University Avenue West, St. Paul, MN, 55104. *The meeting held in December is the exception to this rule and will be held the third Wednesday of the month.